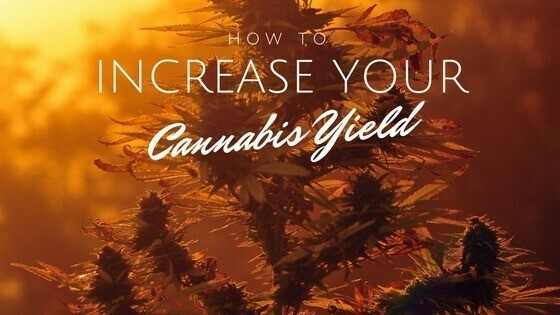 Learning how to increase your cannabis yield is something every grower needs to do. Here we’ll present seven techniques that growers recommend to increase the amount of bud that is produced by their plants. 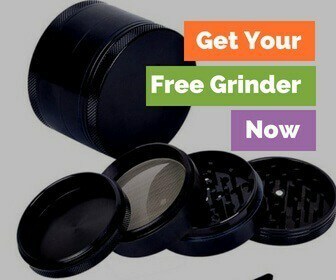 These techniques will not only help you define the processes that result in good bud, but more of it to enjoy. Usually referred to as trellising, this practice is an old gardening trick to promote growth and allow your plant to yield to its potential. Trellising usually involves a canopy of sorts or latticework, that is made of wood, metal or bamboo rods, and depending on your grow space, can be built horizontally or vertically. The purpose of the trellis is to be able to grow your plants in a way so that they remain separated and positioned in a way to receive the most light. One of the things that can kill the potential of your plant is not to allow the roots to gain the nutrients they need. In some cases, as a plant progresses through the plant life cycle, their roots can outgrow their container. This prevents the plant from getting water or nutrients. The importance of transplanting as the plant gets deeper into the plant cycle is key to increasing cannabis yield. As a grower, you should be ensuring that your grow space supports the rooting system your plant needs to flower. Many products on the market will claim to be the magic elixir to bigger yields. When it comes down to it, however, it’s your diligence as a grower that will yield big bud. Staying on top of the nutrients and what your plants need during each plant cycle will ensure your plants are getting the right doses of the right things at the right time. For instance, during the vegetation stage, you’ll want to ensure your plants are getting a fertilizer that has a well-balanced “NPK”. 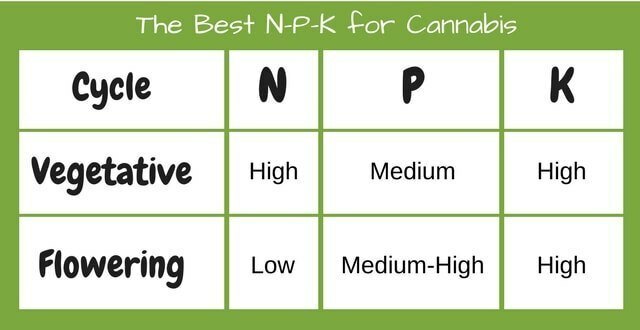 NPK is the Nitrogen (N), Phosphorus (P) and Potassium (K) content required to grow. During the flowering stage, you may consider lowering the nitrogen and upping the phosphorus present in your nutrient system. Many growers choose to use Epsom salts during for their magnesium and sulfur needs. Nothing can bring your yield down faster than a bunch of dead and dry leaves. Maintaining pruning during the growing process is essential to ensuring only the healthy leaves are getting your energy source. Be astute to your leaves during the growing process and carefully clip off dead or damaged leaves, but be sure not to clip any buds. Topping is a method of pruning in which you prune back your top cola, which will allow you to develop two main top colas rather than one. Topping is a careful process that should be undertaken with care so you don't compromise the plant. Your grow space, ventilation system and lighting can all affect the temperature in your grow space as well as the level of humidity. Plants are usually pretty particular about the temperature they’ll be growing in. For cannabis, the recommended temperature range is between 70° and 85° F with lights on, and between 58° and 70° F with lights off. At the same time, humidity affects plant health as well as resin production. Be sure to maintain a comfortable level of humidity (between 50-70%, depending on the stage), to encourage the maximum yield. Keep an eye on these levels by investing in proper ventilation as well as temperature and humidity gauges. Cloning is a process that allows you to grow a replica of a plant that has a proven yield. Growers recommend cloning as a sure-fire way to enjoy the benefits of a high-yielding plant, no matter how many times you've cloned your plant. The process involves cutting your plant or severing off a part of your plant and rooting it into a different grow space. Cloning is a process for expert growers, so the process shouldn’t be taken lightly and undertaken only after research and some training in the process. One of the big mistakes growers make that negatively affects their yield is harvest too soon. It’s easy to get excited about harvest season, but if you harvest too early, you can be significantly losing out on some crop and the potential of your plant. Getting the right harvest time depends on some factors including the color of your plant’s pistils, the color of your plant’s trichomes, and the grower’s determined level of THC present in the plant. After harvest, it’s also important to cure and dry your bud in a way that allows it to lose some of its wet weight but not be so dry that it crumbles. When the grower has determined their preferred level of moisture in their harvested, cured and dried crop, they can then successfully size up their yield. The specifics of growing include so many factors, including strain, whether it's indica or sativa, grow space, water, energy, light and nutrients just to name a few. The diligent grower will pay attention to and carefully record each process used in their growing process. This helps them notice what techniques are producing higher yields. The key to high-yield growing is troubleshooting growing issues as they occur, and refining processes that improve plant health and yield. Once you master how to increase cannabis yield, you'll never run low between harvests again! Do you have any secret techniques for increasing your cannabis yield?